This entry was posted in Top 10 and tagged 4minute, aj, big bang, c-real, changmin, chen, dbsk, exo, exo-m, exom, girls generation, hong jonghyeon, hyuna, japan, jerry yan, junno, kai, kame, kat-tun, korea, kwangmin, look alike, seohyun, seungri, shinee, snsd, sohee, sooyoung, super junior, taemin, taiwan, tao, tvxq, twins, u-kiss, wonder girls, wondergirls, xuimin, yg, yg entertainment, ygent, yoona, youngmin, yuri, Zhou Mi. Bookmark the permalink. 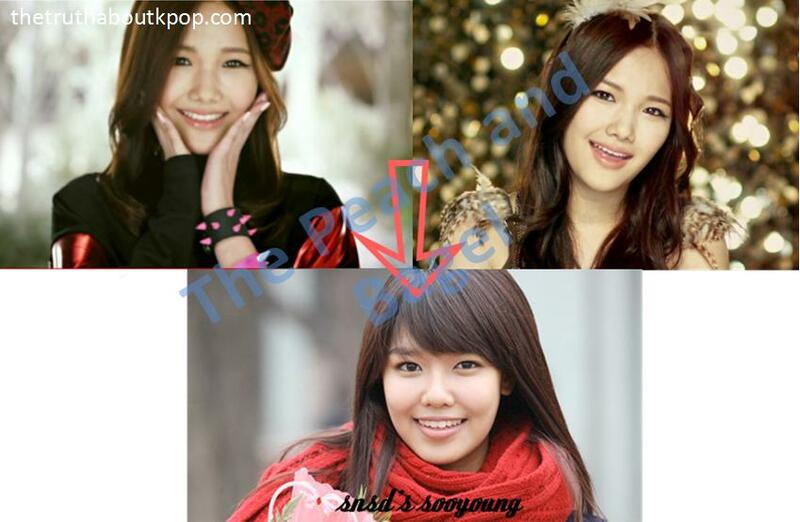 Lol, C-Real is a group of dopplegangers. Chen doesn’t even look like Seungri. Chen’s Chen, and he is not ugly I’m telling you. Ikr.. he doesnt look like seungri at all.. and is there like a need to put ugly in the statement.. he’s no bias of mine but calling other people ugly is just rude. Surprised that Rain and Junho isn’t on that list! Because they DO look alike! haha. You are a scary scary person, do you have no idea that declaring yourself Chen’s wife is unacceptable behavior. It is just crazy. You need to reasse the state of your mental health. You’re talking like you are indeed his girlfriend and that just is not true. DON’T BE CRAZY! It gives all kpop fans a bad public image. They said that we have 7 other ‘us’ scattered in this world. So I wouldn’t be surprised if they meet theirs. Don’t get me wrong.I love Chen but ugly Seungri and ugly ugly Seungri made my day. There are a lot of complaints about those nicknames, like damn, it’s a matter of somebody else’s opinion. Chen is NOT UGLY SEUNGRI! Chen doesn’t even look like Seungri! 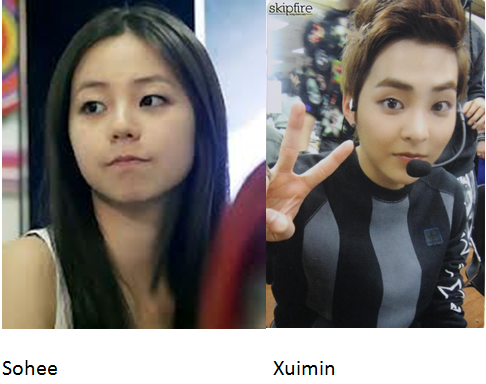 yeah~ they don’t even look alike. whoever wrote this is blind -___- yeah, some blind writers trying to be professional~ dream on! If you don’t. Like our blog don’t read it, it’s like you are trying to make yourself more unhappy and angry by continuing. Stop being a child throwing a temper tantrum and just stop reading things you don’t like. Ugly Seungri and Ugly Ugly Seungri ? 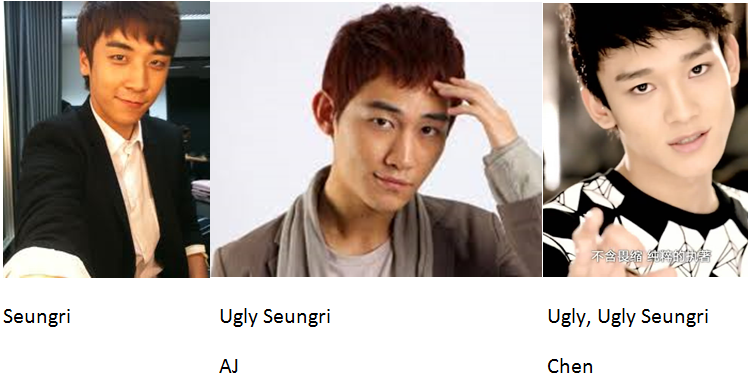 Dafuq AJ and Chen didn’t ugly at all, I prefer them than Seungri, even the fact is 3 of them is my biases, please cut the “ugly” off, it hurted, dude. 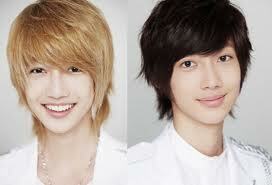 I honestly think AJ is better looking than Suengri. They are probably equal now, but when the Peach made these nicknames that was not the case. BWHAHAHA! Ugly Seungri and Ugly Ugly Seungri. You guys killed me there. 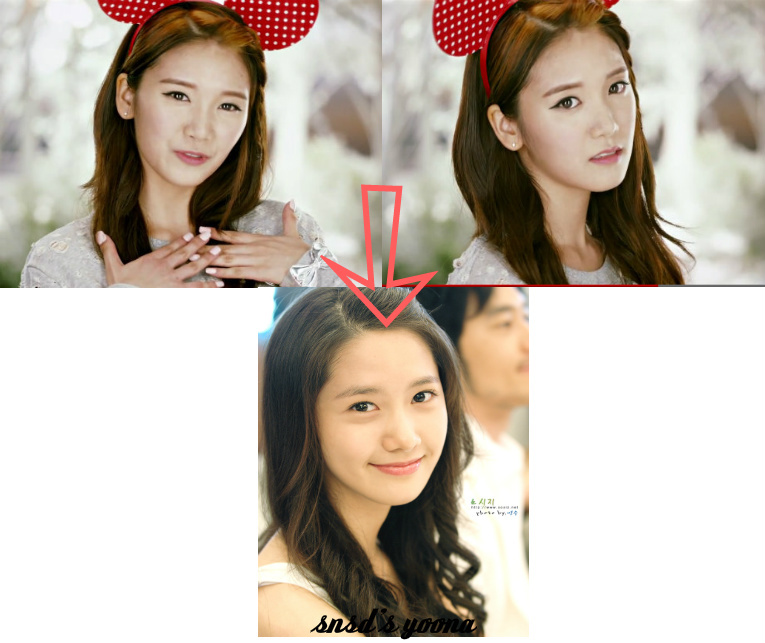 LOL, the identical twins count as look alikes/dopplegangers. 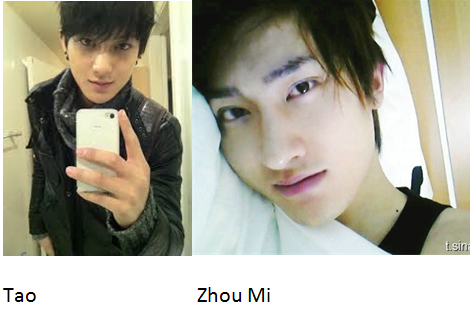 Also like the Seungri look alikes. There is Seungri, Ugly Seungri and Ugly Ugly Seungri. Made me laugh. We were lazy, and yes the plethora of Seungri’s. 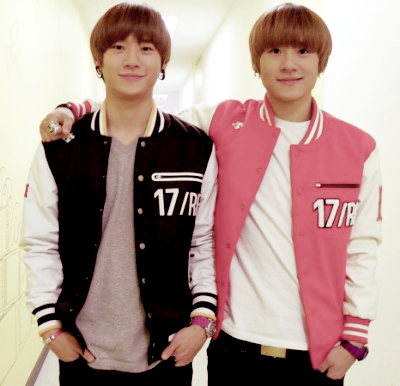 I love how you mentioned the identical twins. And yeah, C-Real is pretty much a droppelganger group. I’m kind of surprised that you didn’t mention Rain and Junho considering…well it’s Rain and Junho, that look-a-like is a poor, beaten, dead horse.